Forget gin – drink whiskey! I can´t stand gin, and really don´t get why so many people drink gin and tonic. So, this spring, forget gin, and drink whiskey. 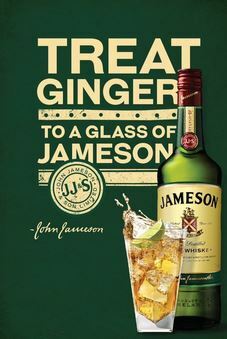 My drink of the month is whiskey and ginger. Give it a shot; I can guarantee you will never drink a gin and tonic again. Posted on Apr 13, 2018 Apr 7, 2018 by Inglés MálagaPosted in ReadingTagged clases particulares ingles malaga, cursos de ingles malaga, drinks. Previous Previous post: Calling all music lovers!